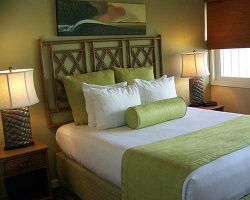 Find your own tropical paradise with a fun-filled vacation to Sea Village Resort Kona. Find affordable timeshare resale and rental properties through SellMyTimeshareNow.com and take advantage of savings up to 70% off retail. What’s My Sea Village Resort Timeshare Worth? Discover the beauty of the Big Island, surrounded by tropical flowers and trees, while taking in sparkling ocean views at Sea Village Resort. Guests will enjoy relaxing by the pool or in the whirlpool tub. Many adventures can be had nearby including golf courses, snorkeling and diving excursions, black lava fields, Rainbow Falls, and Kilauea—one of the world's most active volcanoes. There are also plenty of gorgeous beaches, shopping centers, and dining opportunities just a short distance from the resort. Everything you want out of a Hawaii vacation can be found right by Sea Village Resort! 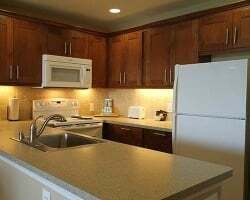 Choose a large and comfortable one- or two-bedroom unit at Sea Village Resort. Each offers private bedroom(s), a sleeper sofa in the living room, a full kitchen, and private balcony or patio with ocean views. One-bedrooms sleep four guests with two-bedrooms accommodating up to six. This makes it easy to book just one unit for the whole family to stay in with plenty of space for everyone to spread out and relax in. 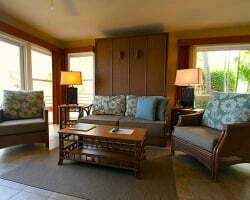 Start planning your getaway to Sea Village Resort Kona today by browsing our inventory of affordably priced timeshare resale and rental units. Complete the form on the right side of this page or give us a call by dialing 1-877-815-4227 for further assistance. An annual Hawaii vacation may sound expensive, but the timeshare resale market makes it possible for families of all budgets! Here, you'll find an impressive selection of by-owner advertised timeshare units priced based on their true market value. This is significantly lower than the retail price tag because it doesn't include a sales commission, taxes, or hidden fees. These are added on by the developer and result in owners overpaying for their property. On the secondary market you can save upwards of 70% off the retail price, keeping thousands of dollars in your pocket where it belongs! Our inventory of Sea Village Resort features deeded points-based timeshare weeks with annual and biennial usage. You'll notice each timeshare comes with an allotted number of points that can be used to customize your vacations through Vacation Internationale. So once you choose whether you want to vacation every year or every other year, you can change up where, when, and how long you travel for each time. Sea Village Resort is a Vacation Internationale resort, allowing owners to enjoy a wide variety of membership perks and services. Vacation Internationale offers a flexible, points-based timeshare vacation program that allows owners to fully customize their experience. Stay at your home resort or vacation at any of the other resort properties within Vacation Internationale's extensive network. If you wish to enjoy a longer, more upgraded vacation, you can choose to save you points for up to three years and further customize your getaway. Vacation Internationale also offers a selection of other travel benefits such as cruise vacation opportunities, VI Travel services to help you plan your vacations, fly and drive packages, and tour packages. With Vacation Internationale, you are able to experience a wonderful selection of resorts and vacation how and where you want each and every year. Beyond the Vacation Internationale vacation options, Sea Village Resort Kona owners are able to exchange through RCI and Interval International. 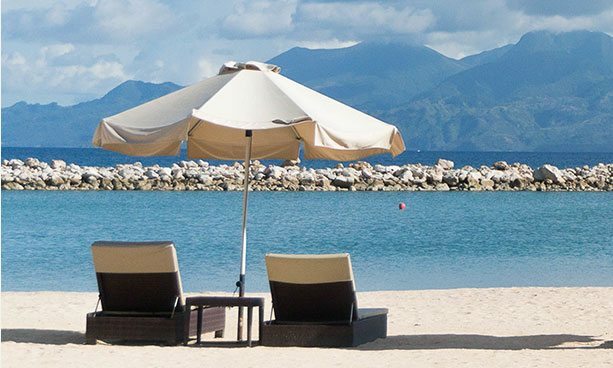 Sea Village Resort is an affiliate of both of these leading external exchange companies, meaning owners can purchase an RCI and/or Interval International membership to gain access to their comprehensive and affordable exchange services. As a member, you can deposit your Sea Village Resort timeshare week and make a reservation at any of the resort properties in the portfolio of the company of your choosing. Both RCI and Interval International offer extensive networks of affiliated resorts with thousands of vacation ownership properties all over the globe in all the best travel destinations. This way, Sea Village Resort timeshare owners can make the most of their ownership experience and travel wherever their hearts desire. The Big Island of Hawaii where Sea Village Resort is located, is appropriately named as it is large enough to offer a variety of climates and activities to explore. Check out the spectacular cliffs to the north or journey to the south eastern end of the island and watch the island grow as lava flows into the Pacific Ocean. Travel inland and go horseback riding at Parker Ranch or venture east to the lush and tropical city of Hilo. Visit the coffee plantations and macadamia nut factories a short distance to the south of the resort while on your way to the Place of Refuge where ruins of an ancient Hawaiian village remain. 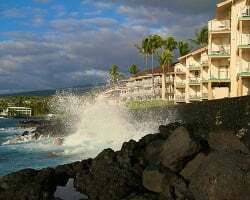 There is so much to see and do on the Big Island, you'll be glad to return to the lush gardens and oceanside pool at Sea Village Resort for some rest and relaxation. The resort sits right on the sea wall and has well kept grounds, a pool, Jacuzzi, barbecue area and a tennis court. Walk into town for a morning cup of the famous Kona coffee before heading out to deep-sea fish, snorkel, golf, or sight see on this wonderfully versatile island of Hawaii. Already Own at Sea Village Resort?